late 14c., adewe, from Fr. adieu, from phrase a dieu (vous) commant “I commend (you) to God,” from a “to” (from L. ad) + dieu “God,” from L. deum, acc. of deus “god,” from PIE *deiwos (see Zeus). Originally said to the party left; farewell was to the party setting forth. The word is actually found in the Webster’s 1828 Dictionary (which was the first American dictionary by the way), and shows that this is how the word was understood in America right at the time Joseph translated the Book of Mormon (1829). Whether he read the dictionary or not is unknown, but I propose that it goes to show that the word was common enough for inclusion in the first American dictionary. ADIEU’, n. A farewell, or commendation to the care of God; as an everlasting adieu. We don’t know much of the actual mechanics of the translation process, but what if at the end of that verse, Joseph Smith understood that translated meaning of what he read meant something to the effect of “I commend you to God” and felt that adieu was a proper fit since that is exactly what the word means. Adieu might have been the best way to translate it, especially if it was a word in common use in Joseph Smith’s time. Ether 6:4 is probably the most interesting verse since the language being used is identical to the idea that the word adieu implies; compare “I commend you to God” to “commending themselves unto the Lord their God”. 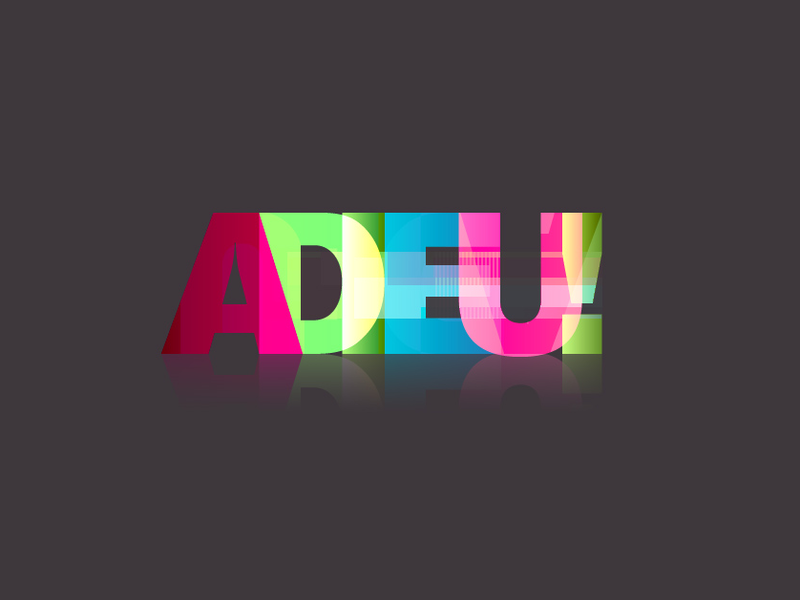 So in my opinion, adieu, although a little bit out of place for us today (like many of the words in scripture) fits in with the text quite nicely as other passages convey the same meaning as “adeiu”. 1. To represent as worthy of notice, regard, or kindness; to speak in favor of; to recommend. I commend to you Phebe our sister. Rom. 16. 2. To commit; to entrust or give in charge. Father, into hy hands I commend my spirit. Luke 23.3. To praise; to mention with approbation.The princes commended Sarai before Pharaoh. The Lord commended the unjust steward. 4. To make acceptable or more acceptable. But meat commendeth us not to God. 1 Cor. 8. 5. To produce or present to favorable notice. The chorus had an occasion of commending their voices to the king. 6. To send or bear to. So by “commending” his people to God, Jacob could have been saying something along the lines of: “I present you to God as worthy and acceptable to him”. Maybe Joseph Smith felt that the single word ‘adieu’ got the job done sufficiently, or maybe the Nephites had a certain single word that meant all of that and the closest equivalent was ‘adieu’. Some may ask, “Well why didn’t Joseph Smith just write it all out in a plain English phrase instead?” I don’t know, and neither does anyone else. The fact is, that when the word is understood, it makes sense in the context of scripture which means that the idea was translated successfuly by Joseph. I think we forget sometimes how many different words we use in our language that are identical in sound and meaning to the foreign languages that we derive them from. Note that there are many other French-based words in the English language which appear in the Book of Mormon such as: abhor (Fr. abhorrer), abominable, abound, accordance, accusation, affliction, and those are only a small part of the list of “A”s alone. We are more familiar with these because they are not obsolete in our modern usage, so we don’t raise a fuss about them. If we condemn the word “adieu” appearing in the Book of Mormon, I wonder if we could apply the same standard for the word “Jew” as well, since linguistically speaking, the word “Jew” doesn’t exist in the Old Hebrew, Greek, Aramaic or Latin texts of the BIble. It originates around the late 12th century. Ioudaios from Iouda – Iouda 2448 (in the sense of IoudaV – Ioudas 2455 as a country); Judaean, i.e. belonging to Jehudah:–Jew(-ess), of Judaea. Iouda is “of Hebrew origin (3063 or perhaps Yuttah 3194); Judah (i.e. Jehudah or Juttah), a part of (or place in) Palestine:–Judah.” So the word “Jew” is in reality a reference to the land of Judaea and the inhabitants who have lived there. But we do not condemn the fact that the Anglo-French word “Jew” is now found in the Bible. Where a people understand the meaning of the word, it becomes appropriate to use in the translation process. We don’t know the exact manner in which the Book of Mormon was translated. There are many conflicting reports and it appears that Joseph’s methods of translation evolved as he grew in his role as a seer; at first using the Jaredite/Nephite interpreters, a seer stone, and then no instruments at all. Anything man touches is corrupt. We cannot expect perfection in understanding God’s will through the crudeness of man-made language. Our language reflects only that which we can understand, which is pretty limited when you get to the subject of eternal things. So we are left to rely on metaphors and parables to try to lift our minds higher, but most important of all is the role the Holy Spirit plays. The Spirit gives us the ability to understand things as their purity using these crude implements such as language as an instrument, much like the Interpreters to allow us to climb to a higher sphere of understanding. …And now, if there are faults they are the mistakes of men; wherefore, condemn not the things of God, that ye may be found spotless at the judgment-seat of Christ. Updated: July 20, 2011 – Added comment about the appearance of the word “adieu” in the Websters 1828 Dictionary and a few grammatical fixes. Very interesting! Didn’t know Jew was French in origin. By the same logic, the entire story could have been a product of Joseph Smith’s mind, the stories he heard and told as a kid, KJV Bible all mixed together with The Late War language and style. That’s certainly one of many theories that has been explored along those lines. That’s the interesting thing though, all scripture seems to bear the human fingerprints of the one who wrote the words. Genesis, Isaiah, Jeremiah, Jesus, Mark, Paul, and John each had their own style and their language reflected what was common at their time. New Testament characters would teach things with words lifted from the old Testament and their environment, take John’s Revelation for example, could that not also be just the product of his mind based on Jewish history, tradition, and the apocalyptic cult literature of today? We can take it a step further and theorize, like many have, that there was a real Jesus who was a Jewish apostate who simply made up a new religion based on the Torah mixed with some Zoroastrianism and Egyptian mythology (after all, his parents and he spent some time there and he could have been influenced by memories of his parents stories). Judaism could have been a mystical religion thrown together by a real Moses who based his religion on what he learned growing up as an elite figure in Egyptian royalty, mixed with the traditions of the cult Jethro belonged to. These are all very plausible theories. In the grand scheme of things, we could also apply a certain logic that says that our own existence is nothing more than a chemical reaction talking place on a space rock in a vast cosmos whose purpose is unknown. Our awareness is simply another chemical reaction taking place. Logic can take us many places and in a world where some think that God wants us to have the ability to choose, we are given equal amounts of “evidence” on both sides. Joseph Smith’s story could just be the nail in the coffin about how religions are fake and formed by incredibly gifted people that rise up every now and then. Or it could be a story about how there is a pattern of God doing miraculous things though human weakness. His work here on earth bears both the fingerprints of the divine and the human hands that bring it to pass. I ned only look to my own life and the examples of personal communication that I have received from God. I didn’t always know there was a God, some times I wondered if anything was even “out there” at all and if I was just participating in another of many traditions. Then some unexpected, difficult, and wonderful things happened over the course of the years. I can’t say that I know everything about God, what he looks like, if he is in fact a he, if there’s a robe and a beard and all that. It is as clear to me as my own awareness that there is a greater intelligence that intervenes from time to time in our lives. While there have been moments of the most sublime communication, putting those things into words has been limited by the limited scope of my own vocabulary and understanding. Why did Jesus choose fishermen instead of the greatest preachers of the day? If you really care about saving souls, then why not pick the greatest and most eloquent religious and philosophical minds of the day. God apparently favors his message to be delivered in simple vessels. The Son of God himself came to a poor family and his birth was in a stable. The patterns either show fools creating myth and stories to craft their delusion into a system of organization, or genuine divine influence that intentionally leaves the human element in play so that we can freely choose between both options. I’ve come to see that the latter is the case. We are free to apply our logic and test the claims. There are many conclusions to come to, mine is too complex to detail here, but I respect your view on the matter, it is certainly a logical conclusion to come to. I appreciate you sharing your comment here, thanks for participating. In the region round about in New York is a french village, Canisteo, Stueben County NY within a days journey from Palmyra. Joseph’s exposure to such would not be unlikely nor most in the region. We forget that France had a presence in colonial America and net picking over such an obvious truth evidence that those opposing the Church pick at anything in desperation. 75 miles not a totally restrictive feet considering Joseph went to the Lamanites to preach the gospel in the area.